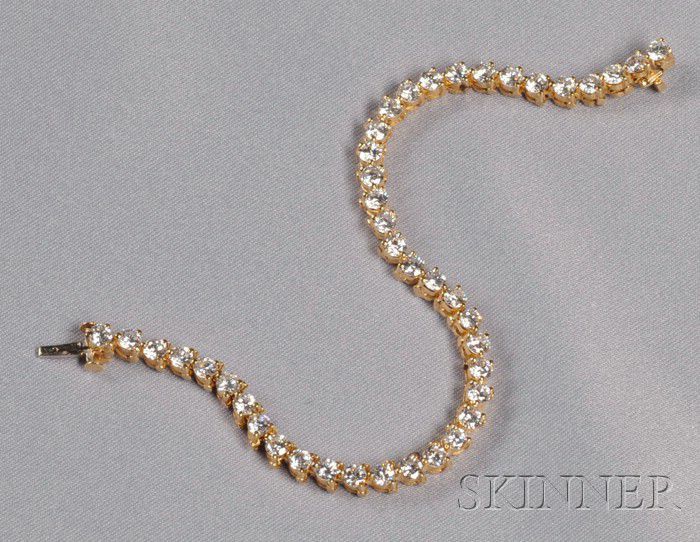 18kt Gold and Diamond Line Bracelet, set with forty-two full-cut diamonds, approx. total wt. 5.75 cts., 10.7 dwt, lg. 6 3/4 in. Clasp in good working order, diamonds are lively and clean, mounting wear commensurate with age.